Can You Legally Fish With a Drone? We all agree: drones are amazing. The place we are, right now, as a technological society is unparalleled. Some of the latest scientific breakthroughs we have witnessed include the making of completely artificial embryos, smart urban design, open source Artificial Intelligence, and so much more that we can’t even dream of. 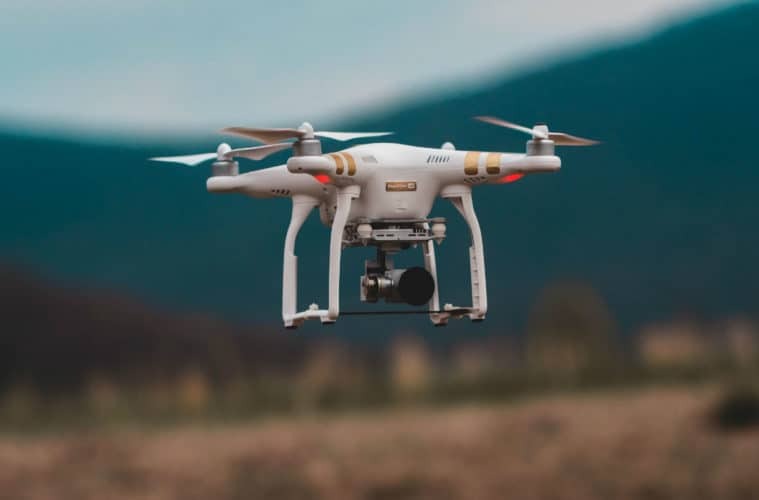 The use of last-generation tech tools such as drones for… less than conventional goals (like on the go Internet access, wine quality surveillance and, yes, fishing) gets more and more tempting. But is it possible to do it legally? Or is that innovation itch going to cost you a fine? To tell the truth, until recently, I had not given the issue much thought. I just figured that someone else would just start doing it and that the whole fishing world would, eventually, catch up. But some weeks ago, I was sitting at the park pondering my next fishing trip with friends when, all of a sudden, there came down a big drone buzzing. Besides the slight scare, that flying drone got me thinking… What if I acquired one of my own and took it with me on the trip? Would I be allowed to use it? And would I even be able to do it efficiently? While I decided that it was a bit too soon to try it myself, I decided to research thoroughly into the legal details, and I delved into the experiences of other forward thinking anglers. So, can you legally fish with a drone? It’s actually a bit more complicated than simply answering ‘yes’ or ‘no’. There are many factors to take into consideration when you’re deciding whether to purchase your own little machine to help you get your catch. I’m sure that, after reading this article, you will have a pretty clear picture of the legal restrictions of fishing with a drone. You’ll also know what to do to keep it safe and get good results while doing so. Here’s all the information I have found. The first thing you’ve got to ask yourself is: what’s the principle of fishing with a drone? The answer to that is already pretty illuminating by itself. If you think about it, fishing with a drone is just a fancier version of bait deployment. Have you ever wanted to place your bait and hook further out than your natural reach? When you try this, you get more chances of targeting a specific type of catch. This way, you are also able to overcome barriers like sandbars, which can keep larger species of fish (like the bigger, more coveted sharks) out of the way. The bottom line is that this is not a new concept. Traditionally, anglers have found intriguing and astute ways to get around these limitations with the technologies that they could easily create or could find lying around. For example, some ridiculously adventurous folks have been known to paddle out on a surfboard in order to deploy line and bait where they could not reach before. Of course, this is quite risky and only attempted by passionate (and maybe a bit crazy?) anglers. Other less daredevil techniques include fishing from a moving boat or kayak (also kind of tempting fate, if you ask me), or using wind powered kites to do the job. This has the drawback of being unreliable and quite on the flimsy side. The thing to keep in mind is that, underneath these more… ‘analogic’ forms of line and bait deployment, lies the same principle that determines drone driven deployment. In a nutshell, using an additional element to target and expand the reach of your casting. If you think of how traditional an institution the IGFA (the International Game Fishing Association) seems to be, you would most likely expect it to take a harsh position of rejection against radical innovations such as using drones for fishing. After all, this is the same institution whose stringent rules say that you can’t use treble hooks with bait. But, perhaps surprisingly, the IGFA has gone down a different path than we could have expected. It has followed the same line of thought that equates drone angling to other forms of line and bait deployment and decided that drone fishing is legal. In some cases. Yeah, don’t get ahead of yourself. Don’t go buying that shiny drone quite yet. It all depends from this one principle: it must not give you an unfair advantage when fighting the fish. The principle of ‘no unfair advantage’ means that you need to stay within certain parameters when angling with the help of a drone. By sticking to the rules, you stay in the IGFA’s good list and might not get coal for Christmas. On a more serious note, what’s the deal? I’ve found that the main thing you need to remember is: the mainline must be attached to a release clip. This must allow for separation from the deploying device (the drone) when the fish bites. This conclusion comes from the general rule that the fishing line can be linked to whichever release device you choose, as long as the double line (or leader) is in no way connected to that release. And, to tell the truth, this is in line with the principles of good sportsmanship, right? You wouldn’t want to rig a fight in your favor, so why do it when fishing? Overall, I believe that the IGFA has taken a fair and progressive stance about the legal use of drone for fishing— and one that preserves the principles of the sport while still keeping it fun and updated! That said, you can’t just get your drone out and release it just anywhere. Other sorts of restrictions do still apply, and these are not necessarily regulated by the IGFA. You have to think of where you’re fishing, of what is around the area, and of what other conditions (such as weather) are present. It’s mostly just common sense. Let’s see how to go about it. Is the area a legal fishing zone? It might seem like a silly question, but I’ve met many an angler who got in trouble because of fishing in a spot they thought was ideal without doing their due research. Some areas (especially lakes, or the fragile habitats and breeding grounds of endangered species) are permanently out of bounds. Others might be open to fishing only seasonally. Make sure you know what is what before you head out. It doesn’t matter if you’re doing it with a drone or without it, no fishing areas are a no-go. Stay out of trouble! Then, other zones are designated ‘no fly’ areas. This is true for all private property. You wouldn’t want someone driving their car all over your house and grounds. The same principle applies to drones. Other ‘no fly’ areas include national parks in the United States (protect the wildlife!) or spaces near military zones. Densely populated areas are also out of bounds: neighbours might get quite angry at you if they perceive your drone as intruding on their air space. Actually, it’s a good idea to always check with authorities. They will give you the most accurate information on where you can and cannot put your device in the air. Better safe than sorry! As for weather conditions, it’s not as much a matter of law as one of common sense. I’m guessing you don’t want to see your precious drone damaged by a particularly strong gust of wind or by a sudden hailstorm. Make sure to always check the forecast before you decide to use a drone for fishing. Now that we’ve cleared up all the legal matters (and the don’t be silly matters), it’s time for the fun bits. Let’s figure out how to actually use your drone as an effective aid for fishing. As we’ve already explored, your drone will have the role of deploying your line, hook, and bait to maximise the reach and capacity of your fishing. It’s not a cure-all: you still need to have a good grasp of technique and gear aspects. What the drone will do for you is take the potential of those elements to tip-top shape. Please tell me you did not mean to use a flimsy photography or recreation drone to carry out the heavy work of fishing. No? Great. Now, let’s see what you actually need. If your drone has extra features like a camera, all the better! You can use these to the max, as they can be extremely useful for scouting the water for fish and currents. It’s mainly a matter of customisation and practice! If you’ve ever watched a plane movie (The Aviator, anyone? ), you know what I mean. Before takeoff, pilots are always required to go through an exhaustive checklist which makes sure that everything is in place and it’s safe to fly the aircraft. It’s a good idea for you to do the same thing in a smaller and less terrifyingly complex scale. For example, double check every setting before you leave the house and before you put the drone in the air. Make sure every part of the equipment is firmly attached and working as intended. And, often overlooked but crucial, check that your drone’s batteries are charged. You want the line to be as far away from the fast turning rotors as possible. This might seem obvious, but it’s also very important. If you rig the line incorrectly, you run the risk of both cutting and losing it and of chopping up your catch to pieces. This is a small device that consists, essentially, of a tiny motor. You can use this element to power up your game: it can be operated to release your line at exactly the right time. You will look awesome, trust me! Choose a line with a self-turning spindle that will move on its own and position itself correctly without you having to exert too much control or effort on your drone. This greatly increases stability and makes the process a whole lot breezier! If you tried and liked the idea of the kite release but hated its flimsiness, you want to use a bait clip to fish from your boat. All this goes to show there is an infinity of ways you can use last generation tech to power up your fishing experience. And now, at least in the case of drones, you can do it legally (albeit with some restricting conditions). Bookmark this article: it is your virtual checklist to make sure you don’t cross any undue lines when it comes to angling with these newfangled devices. Alternately, send the link to your fishing buddies. This way, you’ll all be updated on the regulations and there’ll be no uncomfortable discussions when you get to the actual sport! Now, after going through this article, you are fully knowledgeable and capable of doing some drone assisted fishing of your own. Are you ready for many incredible, tech-powered fishing trips? It’s time to go out and have them!